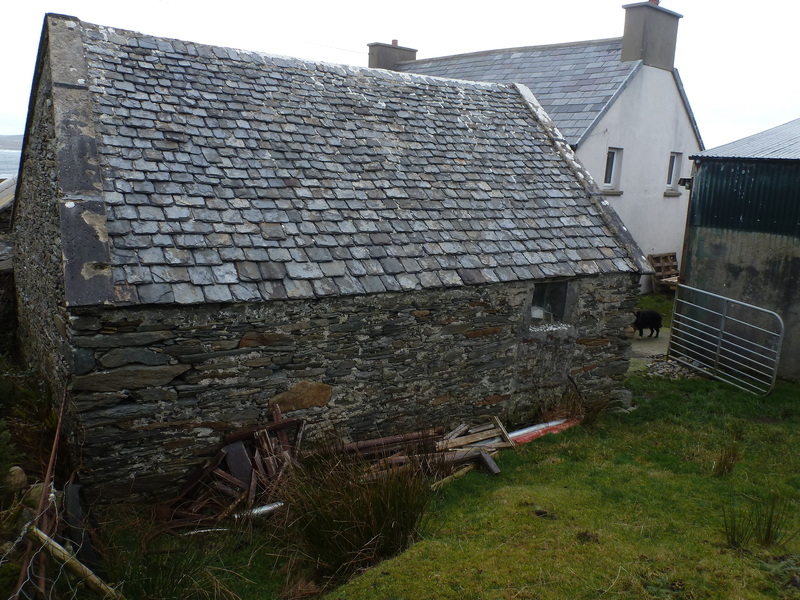 In late December here the wind would rip the head off your shoulder. 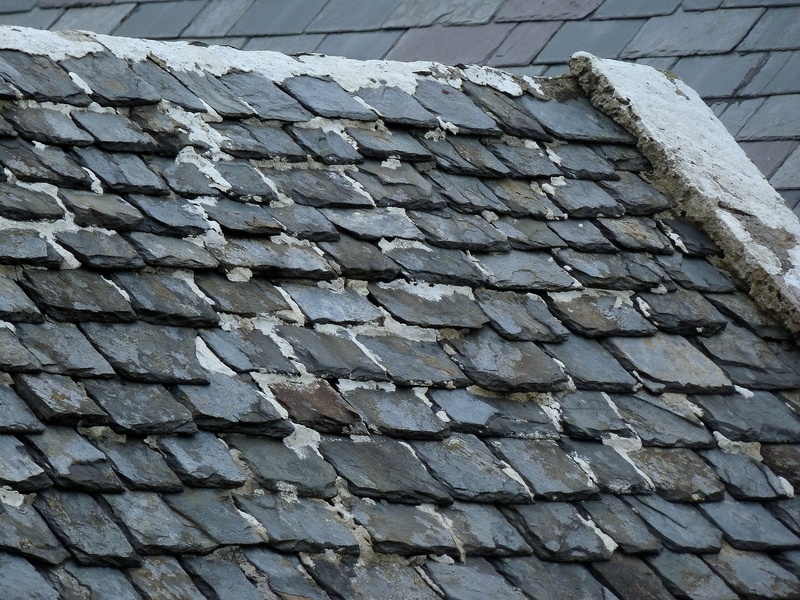 But here is dark grey and leaden-coloured pyritous schist – hand crafted into this most beautiful old roof. 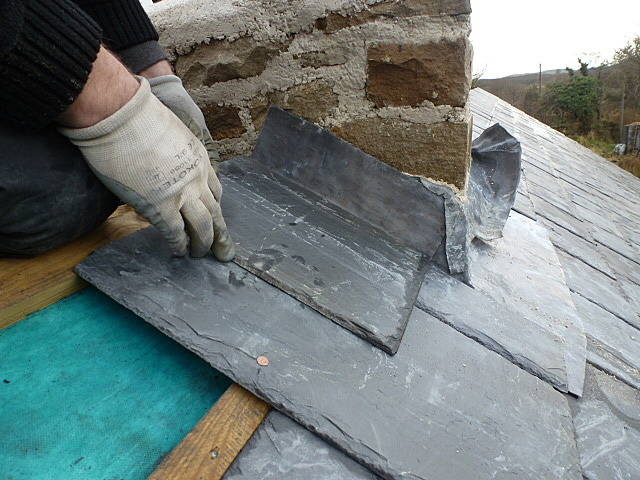 With stones carefully hand cut and graded by size. 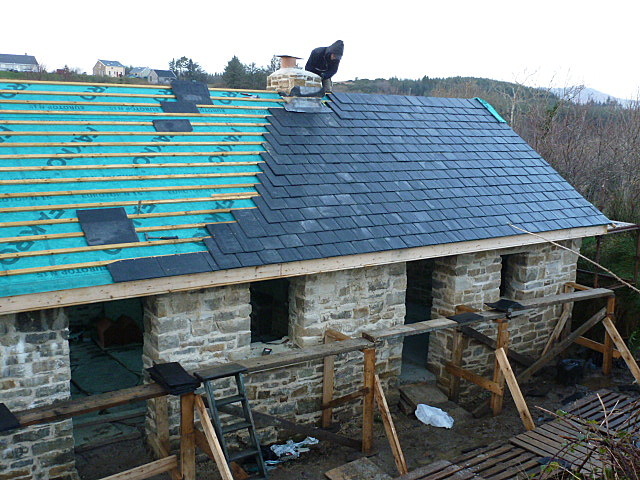 I would hate to guess how heavy this roof is. 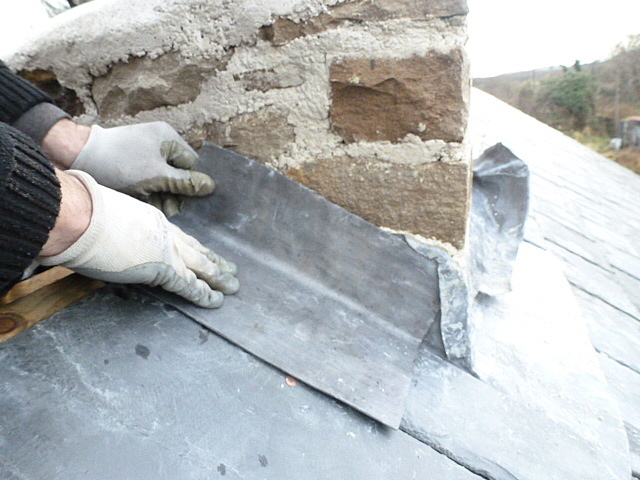 Each stone has been punched by chisel. 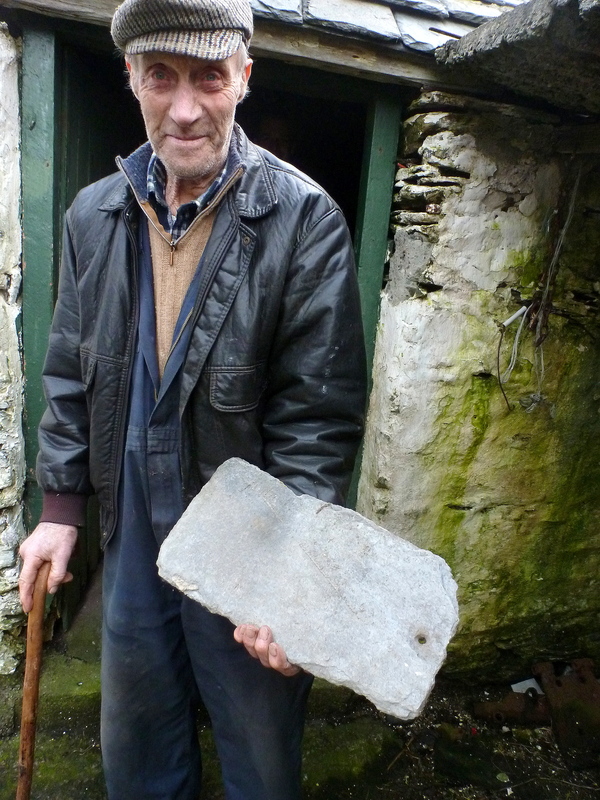 Tomas – he remembers when this shed was roofed in the 30s and he was just a wee slip of a boyo. 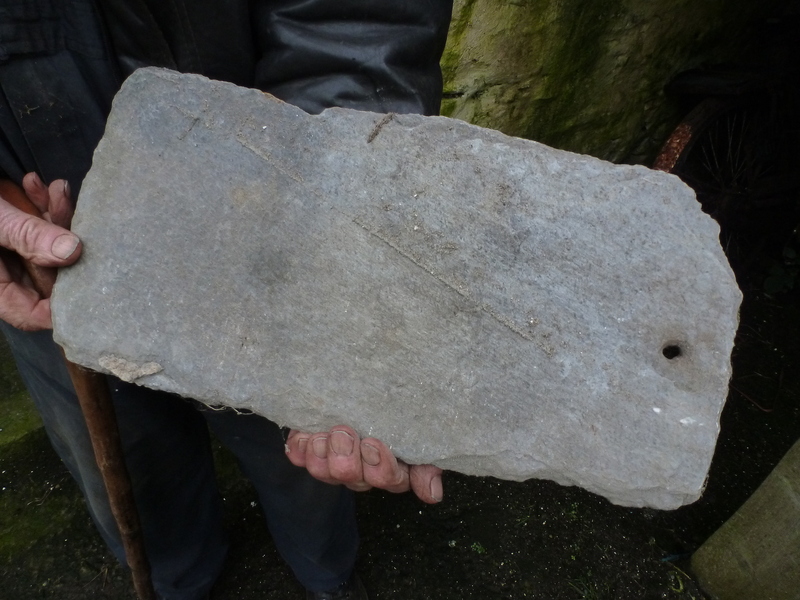 Back then – these old tiles came from a nearby dwelling house undergoing modernisation. 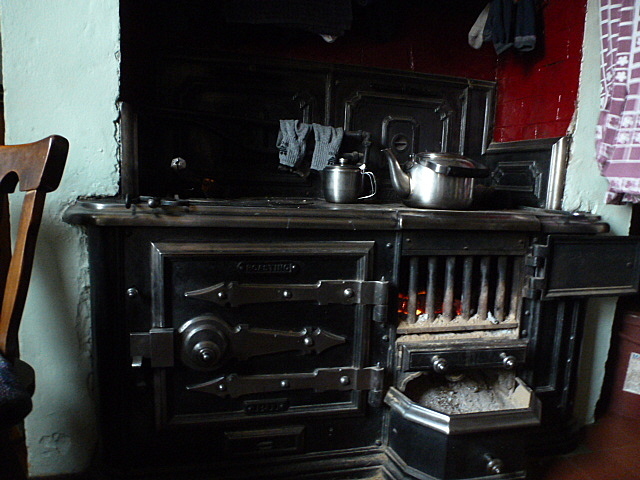 As did this magnificent cast iron range – which came from a tea shop in Ardara. 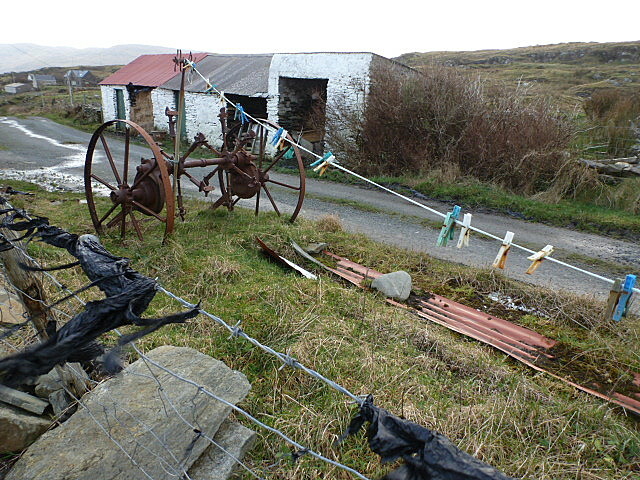 Tomas bought it in 1951 for the sum of £8 – then transported the dissembled parts by horse and cart to Loughros Point. Where since the fire has never been allowed to go out. 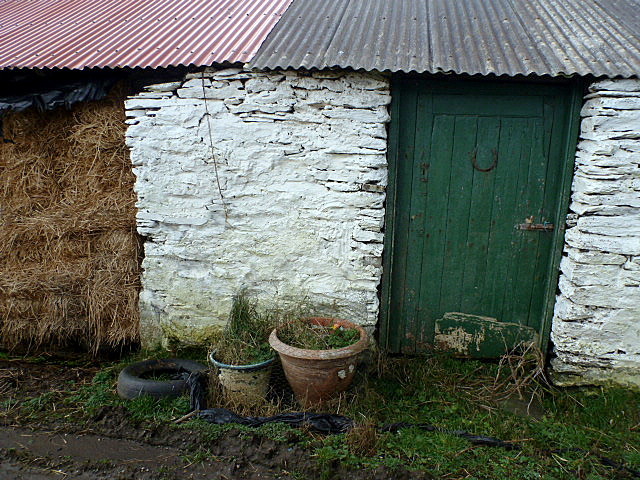 Back at the ranch the brave Mc Cabes wrestle with the elements. Giving maximum protection from the (incorrigible) rain. 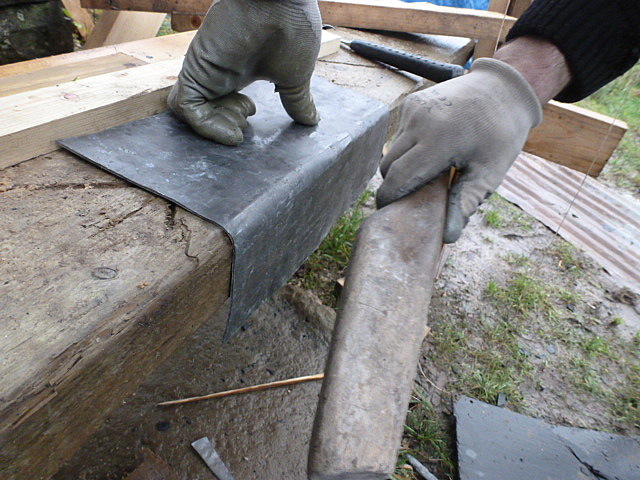 Equally an ‘apron’ is formed using a jig – which shall surround the chimney base. 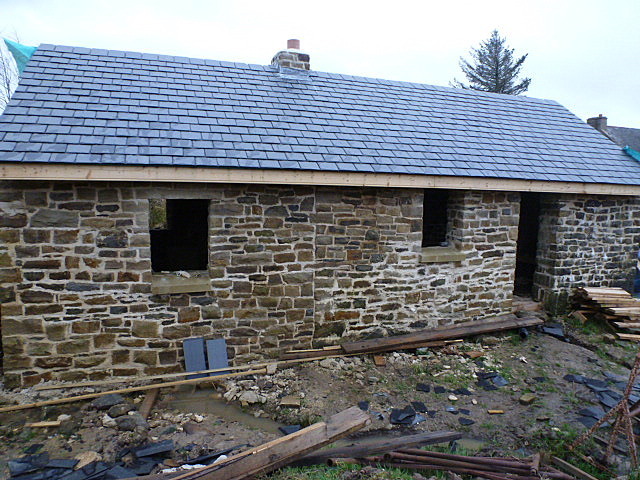 We can not be sure but hope that January shall afford us conditions for windows and doors. 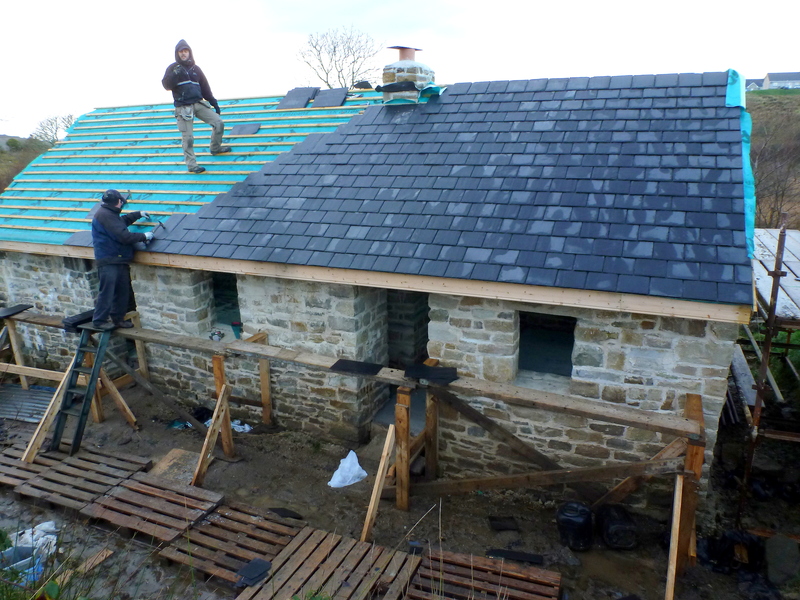 Posted in cast iron range, Feidin Wall, lead apron, lime mortar, Roof, soakersTagged Ardara, cast iron range, heritage stone roof, lead apron, lead soakers, Loughros Point, schist roofBookmark the permalink. 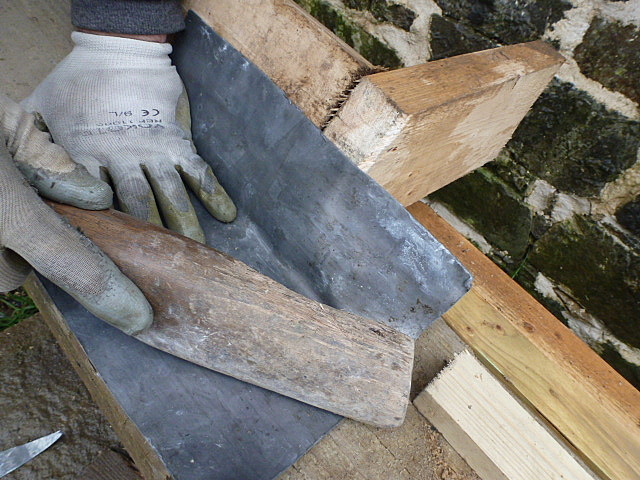 Truly admire the beautiful materials and the works you are creating. Beautiful beyond belief, the calm, contented look of the place is a joy to behold. Thanks for your comments as always. Thoughts are with friends in Tasmania and Australia facing catastrophic wildfire conditions – hoping you all keep safe. 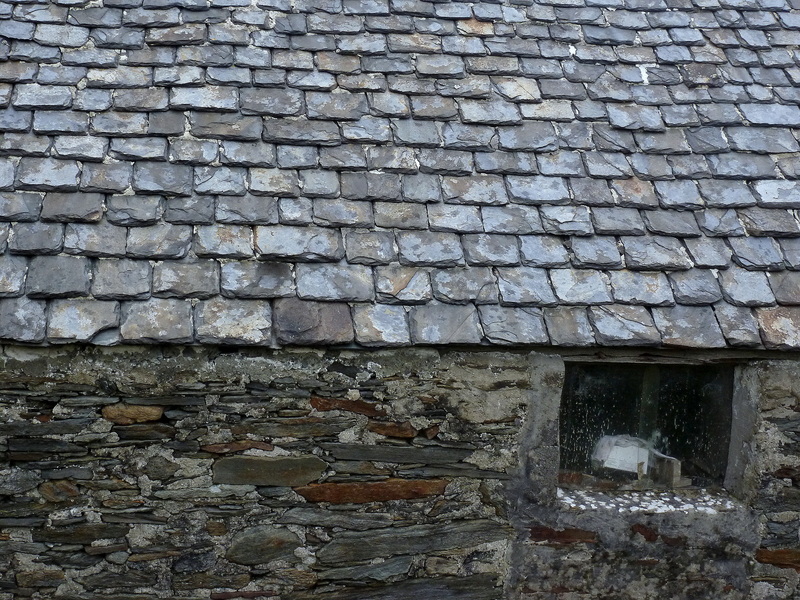 Brilliant photographs of schist roof at Loughros Point, probably one of the last, if not the last remaining examples left in Loughros Point. Looking so so good Wonderwoman!! Hope you’re surviving all this rain! Quagmire central up here!! !